We're continuing to roll out videos about participants in our Food Business Incubator, and this week we're featuring Sherehe Kenya Kitchen. Sherehe Kenya Kitchen founder Lucy loves sharing healthy meals using recipes she learned from her mother. Don’t miss her chicken curry, samosas, and ginger chai. Check out Sherehe Kenya Kitchen’s menu, and stay tuned for more videos in our business profile series! It's time for another video in our profile series of FIN food businesses! This week we're featuring Taste of Congo: The only Congolese food business in our region, Taste of Congo offers a one-of-a-kind experience! Founder Caroline encourages you to try her beignets, which can be enjoyed any time of day. 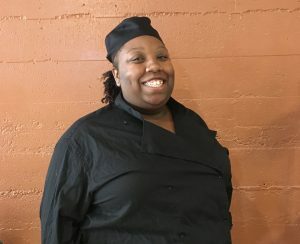 Check out Taste of Congo's menu, and stay tuned for more videos in our business profile series. It's time for the second video in our FIN food business profile series! This week we are featuring Naija Buka: Chef Lilian makes delicious, authentic Nigerian cuisine. Try Naija Buka's popular jollof rice, as well as fried plantains, peppersoup, puff-puffs, and more. Check out their pop-up event at Project Feast's Ubuntu Street Café on March 9! Can't wait that long to get your fix? Visit Naija Buka's new website to see their menu and make your order. Then stay tuned for the next video in our business profile series. We're excited to share the first of five videos profiling FIN Food Business Incubator participants! 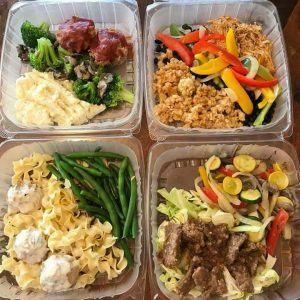 This week the spotlight is on Soozveen Mediterranean Catering. Sisters Sheelan and Zozan founded Soozveen because they wanted to share family recipes and stories. Try their dolmas, hummus, falafel, and other dishes made from scratch and flavored with the spices of Northern Iraq. And don't forget dessert -- their baklava and jasmine cookies are out of this world! Check out Soozveen’s menu, learn more about our Food Business Incubator, and stay tuned for videos featuring Sherehe Kenya Kitchen, Naija Buka, Mamá Tila Catering, and Taste of Congo coming out over the next four weeks! [caption id="attachment_2022" align="alignright" width="300"] Graduation day at Ventures. [/caption] Service Area: King County, Tacoma, and North to Everett Availability: I deliver Friday through Monday and prefer a week's notice Contact: 253 332 1615 or lucykamau2002@gmail.com Q: Tell us about your business? I cater home-style Kenyan food and drinks. You can't miss my signature Chai, brewed with fresh ginger, honey, and international award-winning Kenyan tea. 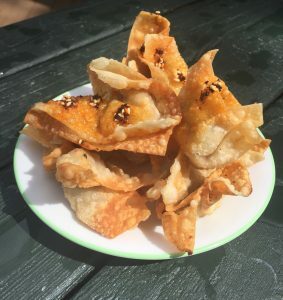 My snacks include samosa a meat or vegetarian filled pastry, wrapped in mild tropical spices. All my meals are stewed in fresh natural fibers and herbs for flavors. I am the oldest of nine and developed my cooking experience and skills while helping my mother to cook for our large family. My siblings and family started expressing how good my food tasted and would always look forward to my next meal. I am a mother of one adult son and I noticed he too would comment positively about his mom’s cooking. He recently joined me here in the United States where he graduated from college and has been very helpful in supporting my business startup. Q: How did you get the idea for your business? 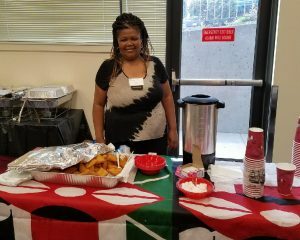 While I was living in Kenya and working in an office in Nairobi Kenya’s capital city, I started volunteering at church as well as community events, then I moved to the United States and continued to volunteer at my church and certain community events, people in the community noticed that my food was tasty and encouraged me to cater small events for them, my church also put me in charge of food and beverage organizing during special occasions. The requests grew to where I have catered community weddings between 200-400 people. 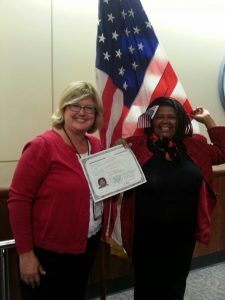 [caption id="attachment_2024" align="alignleft" width="225"] Lucy at her citizenship swearing in ceremony. [/caption] Q: What makes you different from other types of Kenyan restaurants? 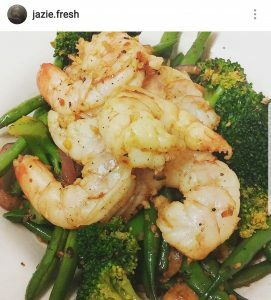 I am passionate about what I do, I care that people enjoy what I cook and I get great fulfillment from seeing them enjoy my food. I am creative and health focused. Working as a caregiver, I have the opportunity to feed healthy food to the seniors on my shift. They love and wait for my soups because they have not had any other employee treat them so special. I buy special containers for them so they can feel good about their food and they look forward to the days that I work. My employers are aware of this and I work hard to encourage my co-workers to pay special attention while feeding our seniors. Q: What do you like best about your work? The opportunity to share my ethnic food and social culture with other people, the chance to feed my clients special healthy meals and improve their health and quality of life. I enjoy interacting with others through food. Q: What is your biggest challenge and where have you found help? Time, I have a full-time job as a caregiver and it is not easy work either, I put so many hours of work in a week that I don’t have enough time to do my business tasks in time. Venture’s program “building business, changing lives” and also their coaching activities have been helpful. Startzone is currently helping me develop my business documentation, costing, pricing and invoicing. Q: What is something people might be surprised to learn about you? That I have a social life with close Christian friends and somehow, we find time to get together, pray and have fun singing Christian songs and supporting community events, and that am changing lives through food. Q: What would you say to other small food business owners thinking of working with FIN? I would highly recommend it, every immigrant interested in a food business ought to know about FIN, I would never have thought of growing my business without their help, I would still be cooking only for my familiar community. FIN staff has been so helpful in the process and I am gaining more confidence because of their encouragement. 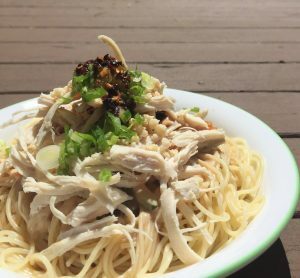 Q: What inspired you to start Mian Dian Noodles? When I first came to the US, I was surprised and delighted by how much Americans love Chinese food. But after a while, I discovered that most Chinese food sold here has been modified to suit an American palate. American Chinese food has been this way since the 1920s and is far from the kind of food I had back in China. So, I decided to make it my mission to provide Americans with an opportunity to experience real, authentic Chinese food, and provide Chinese people with the food they had back home. Q: What makes you different from other types of Chinese food? My daughter and I both grew up with authentic Chinese food handmade by our loved ones. Every part of our lives was embraced by our traditions and our food. We want to spread the blessing we've had to Americans. Q: What do you like best about your work and what is most challenging? Spending time with my daughter while planning the future of our business. Also being able to share the most important part of our culture with so many people through Chinese cuisine. My daughter and I both have day jobs, so it's very challenging for us to have time for a business. My daughter and I both have day jobs, so it's very challenging for us to have time for a business. 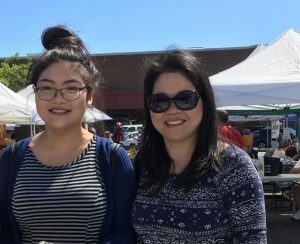 My daughter and I have only been in the US for three years, though, and from difficulties with everyday activities to owning a business, we have come a long way. Q: What types of services or programs have been helpful? The project feast training I received two years ago has helped me out a lot in the process of creating my business. 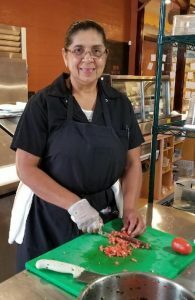 I learned a lot about the how to use a commercial kitchen, which I had no experience with before. Q: What would you say to other small food business owners thinking of working with FIN? If they have the opportunity to work with FIN, I highly encourage them to do so. FIN has provided us with all the resources that we needed along the way, they have helped me to make my dream come true. Want to experience authentic Chinese food?